worthwhile stopping and spending a few hours in the scenic environs of Mammer. 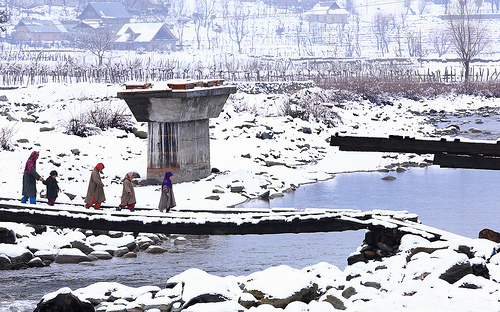 The hamlet has Ganderbal to the West, Sumbal to the East, Gurez to the North and Lar in the West. The natural scenery is what attracts tourists and locals to visit this small but quaintly charming place, a place that time ignored as it marched past; a place where you can commune with nature and then come back to the realities of life in a quick time. 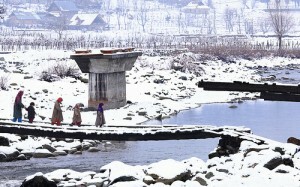 It is so close yet so far from the main cities like Srinagar, Sopore and Baramulla. 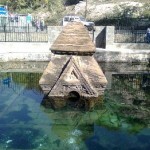 If you wish to reach Mammer, the Jammu Tawi Railway Station is the nearest station 193 Kilometer away from Mammer. After reaching Jammu Tawi, you can avail the road route to Mammer. This small village is nowadays is a popular tourist hub and the chief reason of course is it’s celestial un-spoilt natural beauty that allows you to purify your mind, body and soul all in one go and you get tremendously recharged and renewed for another race of life. Thanks to the many tour operators who have included this small long ignored and unnoticed hamlet in the Kashmir Tour Packages thereby allowing vacationers to explore its celestial charms and the bounties of Nature out there!